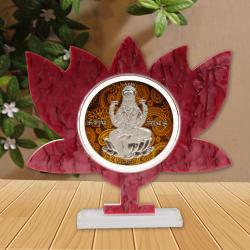 Product Consists : Silver Plated Ganesh Idol with Ashtavinayak Table Stand Frame. 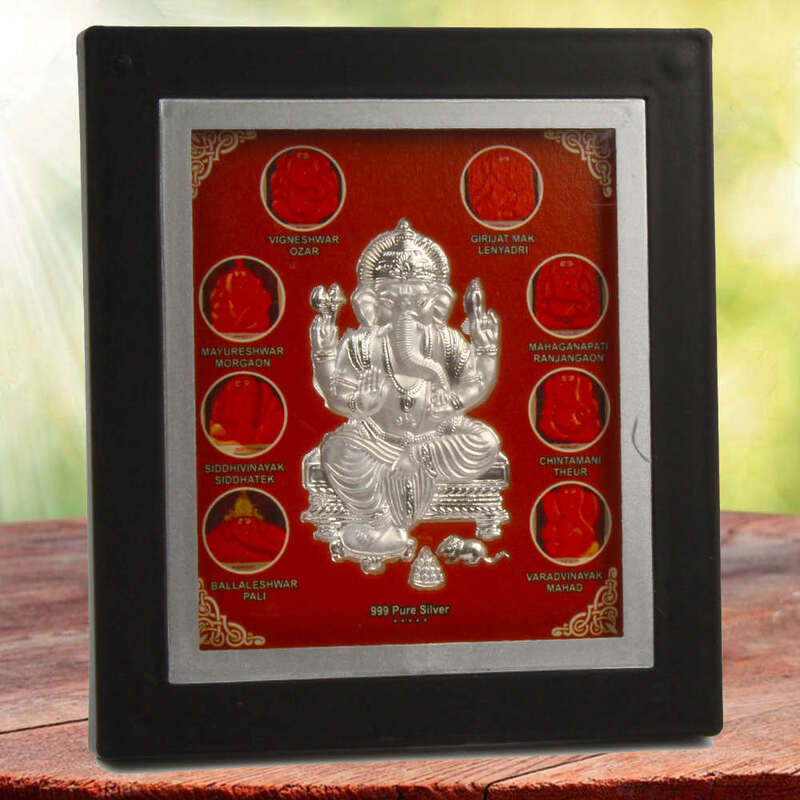 The Eight Elegant forms of Lord Ganesh are exquisitely portrayed with pure silver plated Ganeshs in the center. 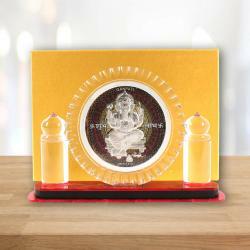 Lord Ganesh, who is the giver of Riddhi-Siddhi, is the primary lord to be worshipped. He is worshipped in every auspicios task. 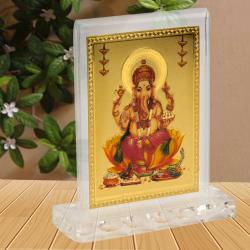 An elegant look frame will the best gifting for all types of occasions. These Eight Ganeshs are Moreshwar, Siddhivinayak, Ballaleshwar, Varadavinayak, Chintamani, Mahaganpati, Vighnahar, Girijatmak based at Eight ancient holy temples situated around different location. So through this Frame you can easily view Lord Ganpati forms all together at same time. These will shower you as a blessings of success, victory and remove all obstacles in your path. There are many more benefits that will pleasantly surprise you. 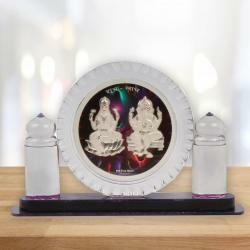 Product Includes : Silver Plated Ganesh Idol with Ashtavinayak Table Stand Frame.